Keep LockView software up-to-date with occasional updates to manuals, software and drivers. Note: An upgrade to LockView 5.x is not available to LockView 4.x users without a valid Technical Support Agreement. 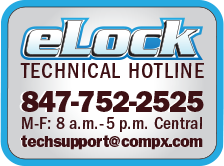 Please contact CompX eLock customer service to renew your Technical Support Agreement or your reseller to purchase LockView 5.x. ** If you have a valid Technical Support Agreement and are upgrading to LockView v5, you must contact CompX for a new License Site Key to register the software Be sure to read the Upgrade Support Instructions before installing the software if using an SQL database. Save the file named "LV512_CompX.zip" to your hard drive. Extract the .zip file. When you're ready to install, locate the extracted files on your hard drive and double-click the Setup.exe file to begin installation. Need help? 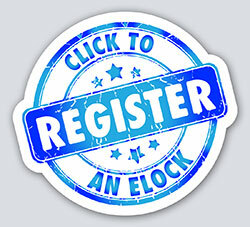 Call the eLock help line at 847.752.2525. NOTE: If you do not have a software serial number, please contact your reseller to purchase one. Save the file named "LV452_CompX.zip" to your hard drive. Extract the .zip file. In the File Download box, select Save this file to disk. Save the file named "lockview3_7.zip" to your hard drive. When you're ready to install, locate the .zip file on your hard drive and double-click the file to unzip. Chose the LockView3.7_Setup.exe file and double click it to begin installation. The InstallShield Wizard will guide you through the setup. When using a Windows 7 (or higher) operating system, LockView 3.6 (or higher) is required, which includes CompX's '64 Bit Compatible' USB Dongle. Note: '64 Bit Compatible' must be molded on the underside of the dongle in order to work with Windows 7 (or higher). If the dongle does not have any writing molded into the underside or has '3.0 Compatible', it is not compatible with Windows 7 (or higher). When you're ready to install, locate the .exe file on your hard drive and double-click the file to begin installation. To download, click the link below and save to local computer. LockView will install the driver files correctly. NOTE: LockView 3.6 uses the same USB dongle driver as LockView 4.x. All three drivers must be downloaded together. To download, click on each link and choose "Save." Save to local computer. LockView will install the driver files correctly.